Home » Posts Tagged "Fluoride"
Fluoridation: Teeth to Die For! Approximately half of the USA’s drinking water supply is fluoridated in an attempt to reduce dental cavities in children. And now it’s happening in Australia too. Is this state of affairs justified? Is it safe? Most Americans are unaware of the dangers of ingesting fluoride. Most dentists, physicians and scientists are unaware of the dangers of fluoride and water fluoridation. According to a 1988 article in the prestigious Chemical and Engineering News, scientific voices of opposition to fluoridation have been suppressed since 1950 when the U.S. Public Health Service first endorsed fluoridation. 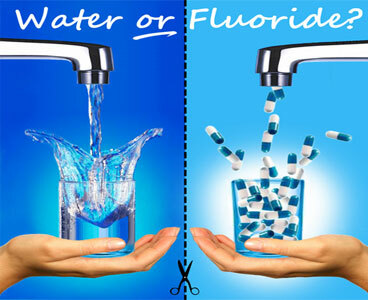 Power tactics including threats, ridicule and frank censorship aimed at scientists and clinicians knowledgeable about fluoridation have prevented the truth about fluoride being disseminated to the science world and the public. Whenever a public agency is charged with objectively evaluating the safety of a procedure while at the same endorsing and recommending it, a serious conflict of interest is set up. This is exactly the position of the U.S. Public Health service for the past 44 years.